No extra cost, convenient and fast. 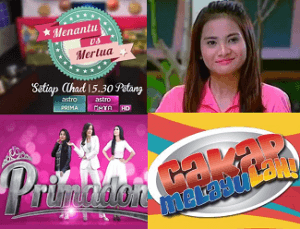 Need Astro Package for your home, Subscribe Astro Package here. Existing Astro subcribers. Upgrade your Astro Package. Check out latest Astro package promotions here. Amazing Chinese drama and entertainment with latest TVB drama same time as Hong Kong and on demand movies. Service is fast, and extremely convenient! Definitely recommended as you get everything done online. Truly professional. The team actually explain very detail to me. I sign up for the Astro IPTV package, and they get everything done online. We just submit the form and wait for the contractor. So simple. I just called them and they have staff answering to our question. I applied online and we don't have to go to the counter.